Catch all the action in Goa while you enjoy a comfortable stay at the centrally located OYO 12873 Home Beach facing Studios Morjim. OYOs skilled and friendly staff is always on their toes to cater to all your requirements. Designed per the needs of a contemporary traveller, you can find all the amenities such as AC, Geyser, Mini Fridge to your comfort. Laze on the beach or explore Goas colonial charm, as you visit Chapora Fort, St. Cajetan Church and Casino Palms. Do not fret if you run out of cash. Theres HDFC Bank ATM, ATM Bank of India and State Bank ATM located at a short distance. 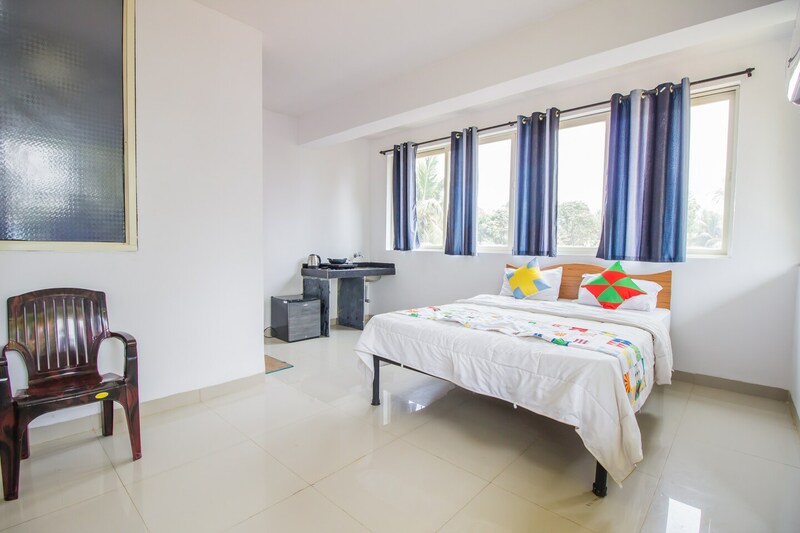 Make memories in Goa, while you enjoy a welcoming stay at OYO 12873 Home Beach facing Studios Morjim.